Thanks to its location outside the Caribbean "hurricane zone," Bonaire benefits from a semi-arid climate with plenty of warm, sunny days. From the island's coastline, a designated national park, you can access vibrant coral reefs that serve as a perfect destination for any snorkeling or diving enthusiast. 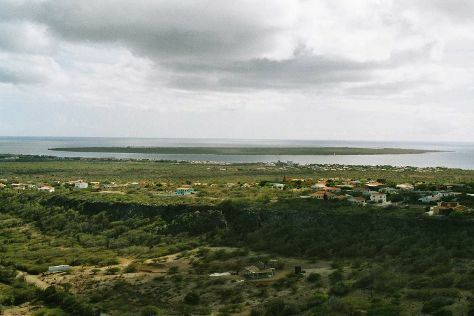 Windsurfing and kitesurfing are also popular things to do on Bonaire due to the island's steady trade winds, while the arid interior offers numerous wildlife-rich protected areas, interesting rock formations, and scenic landscapes. Bonaire is in Caribbean. Find what you're looking for from your Bonaire holiday, by planning the whole thing with us using our handy Bonaire trip planner.